Automobile accidents have become the top cause of teen deaths in Oklahoma. The number of fatal car wrecks involving teens across the state rose by 21 percent in 2015 compared to 2014. With National Teen Driver Safety Week underway from Oct. 16-22, the Oklahoma Highway Safety Office warns that the number of teens involved in non-fatal accidents in the state has also climbed. In 2015, there were 13,683 Oklahoma teens in car accidents, an increase of 8.5 percent over 12,611 in 2014. Nationally, there were 14,000 deadly accidents involving teen drivers over the past five years. Almost two-thirds of the accidents resulted in fatalities to individuals other than the teen driver. If you have been injured by a teen driver or if your teen has been injured in a car wreck, please reach out to our team of auto accident attorneys in Tulsa today. AAA notes that Oklahoma’s graduated driver’s license law is effectively impacting teen drivers. Oklahoma’s texting ban, which applies to all drivers, has also helped decrease car accidents. However, the organization says parents of teens are most impactful when it comes to educating teen drivers about safety behind the wheel. A recent study conducted by the AAA Foundation for Traffic Safety shows that parents today are not preparing their teens to drive safely. Driving instructors interviewed by AAA claim that parents are not teaching their teens as well as they have in the past. Parents’ own driving habits can set an example for a teen first learning how to drive. The parent’s own bad habits are often absorbed by the teen when they are observing their actions behind the wheel. The study shows drivers ages 35 to 55 often report they’ve exhibited dangerous habits behind the wheel. If you have been in a car accident caused by a teen driver, you may be entitled to compensation. 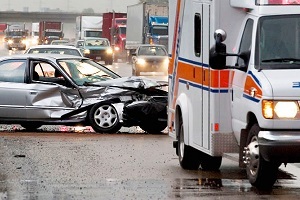 The auto accident attorneys in Tulsa at Edwards Law Firm will fight to hold responsible parties accountable for your loss and will help you get the compensation you deserve. Schedule a free consultation today.